The July farmers market is my kind of fun house. Instead of distorting mirrors and lurking clowns, there are fruits, vegetables, flowers, and herbs (cheeses, too!) in a dizzying array of shapes, sizes, and colors. The tomatoes are so bright they seem to be glowing from within; the glistening leafy greens might as well be decked out in sequins; and the eggplant are absurdly small and curvy—I can't help but point and laugh. The cucumbers have been stretched like putty; the pattypan squash have been smashed and crimped—nature's pie! And while I'd be fibbing if I said I selected my produce based on appearance alone, it can be fun to consider shape and color as seriously as taste and texture. In summer, you can make-believe yourself an artist with every salad you make! So we dreamt up an edible color wheel featuring sesame leaves, purple-podded peas, gooseberries, turmeric, fresh red currants, itty-bitty eggplant, and watercress (can you spot it?). Below, you'll find a recipe for any color you're craving. 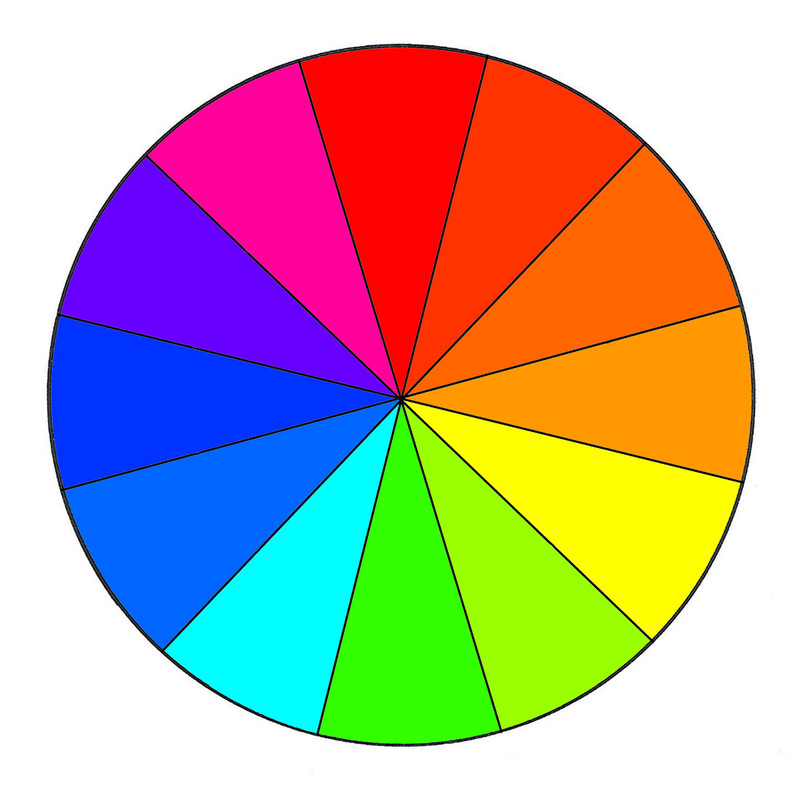 Scroll down and take a spin around our color wheel. What colors do you gravitate to at the market or grocery store? Tell us in the comments below! All these colours are making me so hungry, and that beetroot and herb jello salad sounds weirdly delicious! I'd like a print of that Mark Weinberg display of fruits and vegetables. Beautiful and not predictable. Oh my, that photograph by Mark Weinberg at the top is magnificent! Any way I could buy a print?? I, too, would be interested in a print of it!